Coloured print, Intermediate pages composed of printed text. 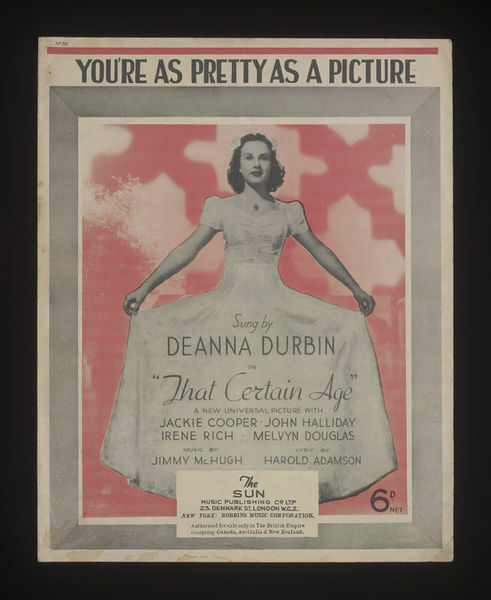 Sheet music for You're as pretty as a picture, lyrics by Harold Adamson and composed by Jimmy Mc. Hugh. 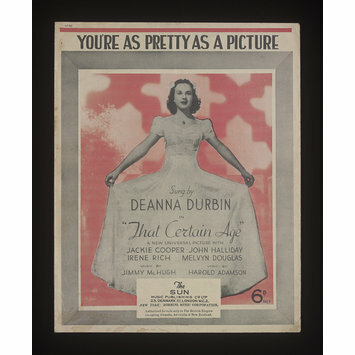 Sung by the Canadian singer and actress Deanna Durbin (1921-2013), published by The Sun, London, 1938.